Whether your objective is to recover from a hospital stay, accident or illness or you want to “age in place”, make sure you make the best decision when inviting nurses, aides and therapist into your home. Our comparison checklist has the questions you want answered, but didn’t know to ask! Once you have all the answers you can compare agencies and make the best decision. IN-HOME CARE offers individuals and their caregivers with home care (non-medical) home health care (medical care) and even companion services as needed. With this type of additional care, independence is kept in a safe familiar environment. Caregivers, family members, spouse, children, siblings or other designee who will be responsible for selecting alternative care and housing along with their other caregiver responsibilities. Caregivers who need respite (temporary) care for their loved one, they can be relieved of their caregiving responsibilities. Providing relief for their caregiver to rest, recover from an illness or surgery or enjoy time away. Pharmacies provide a tool to educate and manage needed care and living changes for their clients, proactively or emergent. their client to the highest standard. In-home care offers individuals and their non-paid caregivers with home care (non-medical care) home health care (medical care) and even companion services as needed. With this type of additional care, independence is kept in a safe familiar environment and the professionals come to you. With all the choices available for these types of services it can be overwhelming deciding which is the best agency for your requirements if you don’t know the right questions to ask, have a way to organize your answers and compare your options. 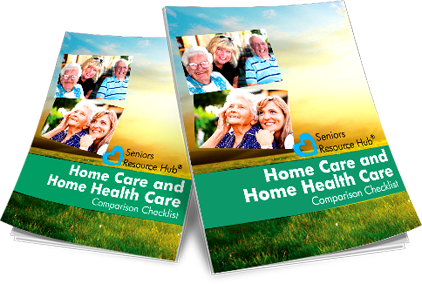 The Seniors Resource Hub® – Home Care and Home Health Care Comparison Checklist has direct questions and suggested actions which will provide important information for the fact-based Home Care and Home Health Care decision making process. When it’s time to compare options and make a decision, it can be risky to rely on your memory alone and possibly confuse one option or agency with another. Additionally, using the checklist helps eliminate emotional or impulse decisions and allows for a happier and smoother transition. 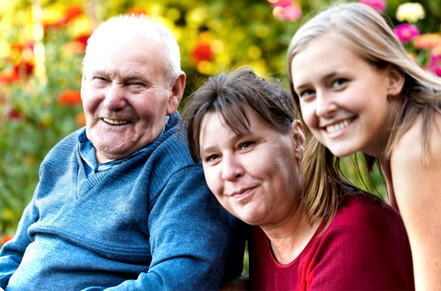 Once you or your loved one has made the decision for in-home help, you don’t want to regret your decision. The Home Care and Home Health Care Comparison Checklist is a tool that relies on the author’s experience as a caregiver. 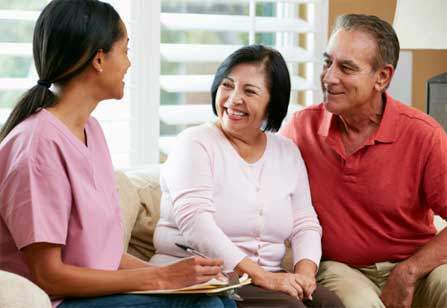 Typically, when someone needs to choose a Home Care or Home Health Care Agency, either for themselves or a loved one, they haven’t had any past experience with this type of living or decision making, in other words, they don’t know what to expect. And when you’re inviting new people into your home, or you’re relying on them to help carry the work load, it’s imperative you’ve done your homework. The right amount of well-trained staff to support their client to the highest standard. Open, complete, timely and accurate communication among and between those who provide care to a patient in the home and the caregiver/family is essential for patient care quality and safety. The Home Care and Home Health Care Comparison Checklist was created from years of experience. Those experiences were organized into a framework which allows for multiple agencies to be reviewed, priorities to be set and a selection made that is best for all involved, especially the person(s) that will be receiving the service in the home. Safer environment maintain high quality of life. Better transition to post-acute care and faster recovery. Best care decisions based on individual needs. Better care decisions, less problem management more efficient. Understand and participate in care plan prevent the stress of readmissions.